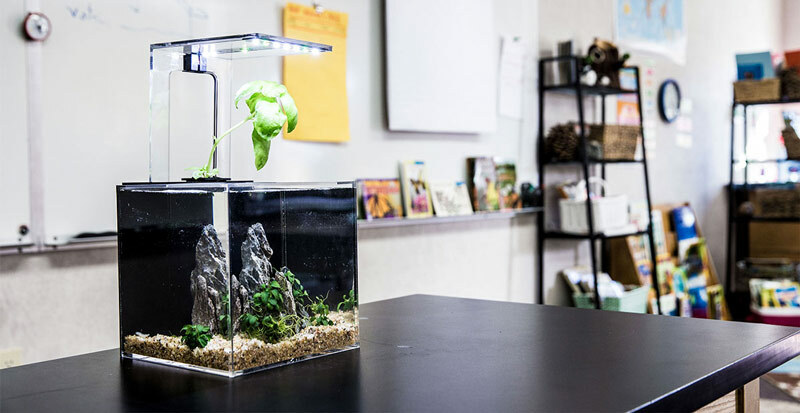 The EcoQube C is a desktop aquarium that is suitable for a working environment. 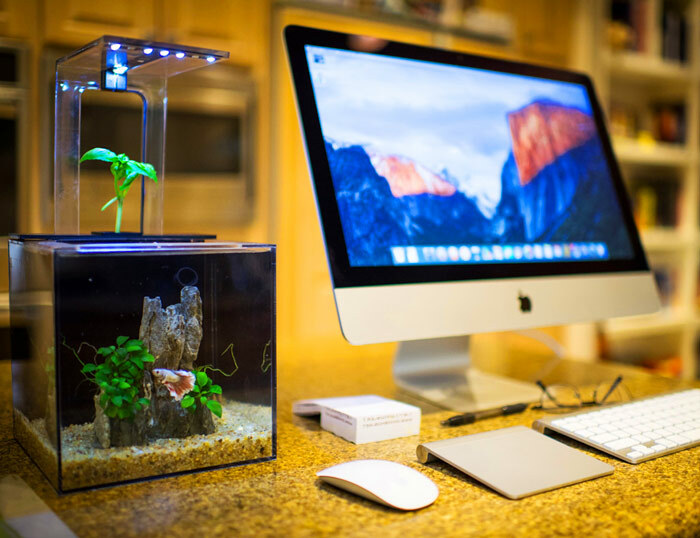 With the EcoQube C, you can enjoy an aquatic ecosystem right on your desktop. It is ideal for the home or workplace due to its size and portability. But is it really the best choice? Below we will discus the major points for and against the EcoQube and why it may, or may not be suitable for you. Desktop aquariums can be considered as compact distractions. To many the faint sound of running water and swimming fish is relaxing. Similar to meditation, desktop aquariums such as the EcoQube can be an excellent distraction to the hustle and bustle of every day life. Does this system work? Perhaps. In theory the process makes sense. The fish faeces and decaying matter turn into nitrates into the aquarium and the plant utilizes these nitrates as fertiliser to grow. How can we know the plant uptakes all the nitrates? We can’t. To put it simply its impossible to know just how cyclical this process really is. The growing of the plant may have no significant impact reducing nitrates in the tank. Furthermore the idea of having a ‘biosphere’ type environment in such a small volume of water is completely absurd. For this reason I would still recommend regular maintenance of the aquarium and water changes. The good news is regular water changes will act as a safety net and ensure the longevity and health of your fish! The EcoQube was conceptualised by Eric Suen and Kevin Liang. The main objective was to create a fully self-sustaining aquarium that had minimal need for maintenance and minimal impact on the environment. Through innovation and iteration the desktop aquarium was created utilising aquaponics. However, this process of aquaponics is far from new. It has been used for thousands of years. Not to mention the ‘Back to the Roots’ aquarium which can now be found on Amazon uses exactly the same ideology. And it was backed a full two years earlier on Kickstarter. Coincidence? Perhaps. The project was then listed on Kickstarter and successfully funded to the tune of $76,000 USD. Many projects fail on Kickstarter, and the fact that they achieved their goal and delivered on their product is impressive. 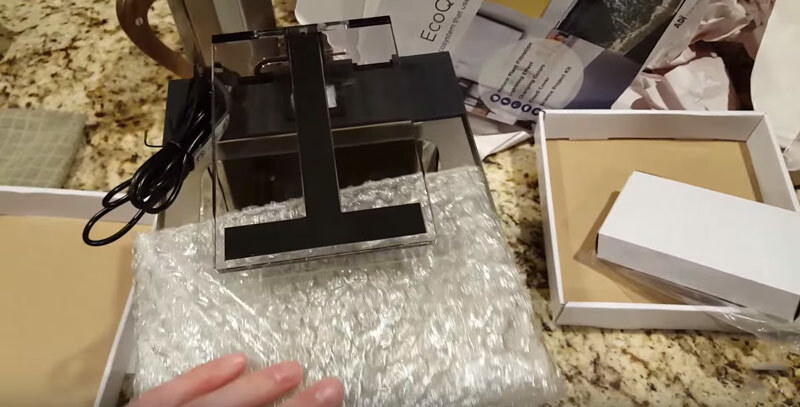 It is always hard to recommend Kickstarter products. You are betting on something that is often created by individuals with far less experience than leading brands. However, I do feel comfortable knowing that the EcoQube has existed through a number of iterations. Ultimately the idea is that the herb/vegetation will grow under the LED and utilise the nutrients in the water is true, but perhaps not as effective as the founders would like you to think. Its also not a new idea, but I will give a huge props that the aquarium looks beautiful and nicely crafted. Due to the small size of the tank you should limit how many fish you purchase. 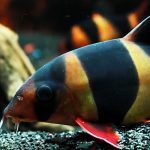 Zebra danios and cloud minnows are a few of the recommended fish. I personally would recommend a maximum limit of 3-4 fish. Feeding should be done twice a day in moderation. It is recommended to clean the tank at least twice a week. Proper maintenance will leave out the risk that your aquaponic plant does not consume enough nitrate in the aquarium and ensure you have a positive experience with the AquaQube. 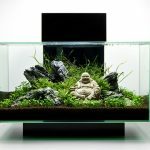 If you’re interested, you can buy this desktop aquarium from ADI or Aqua Designs Innovations Online. After using the AquaQube for a week I can contest that it is a decent desktop aquarium. 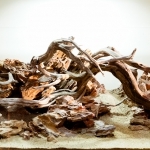 But as always I suggest you explore all options before deciding on any aquarium purchase as there are many, many alternatives. if i place the ecoqube c in an aircondition room, will it affect the fish or aquarium? do i need to put a heater? What do you mean you can’t figure out if the plant is absorbing nitrates present in the water? 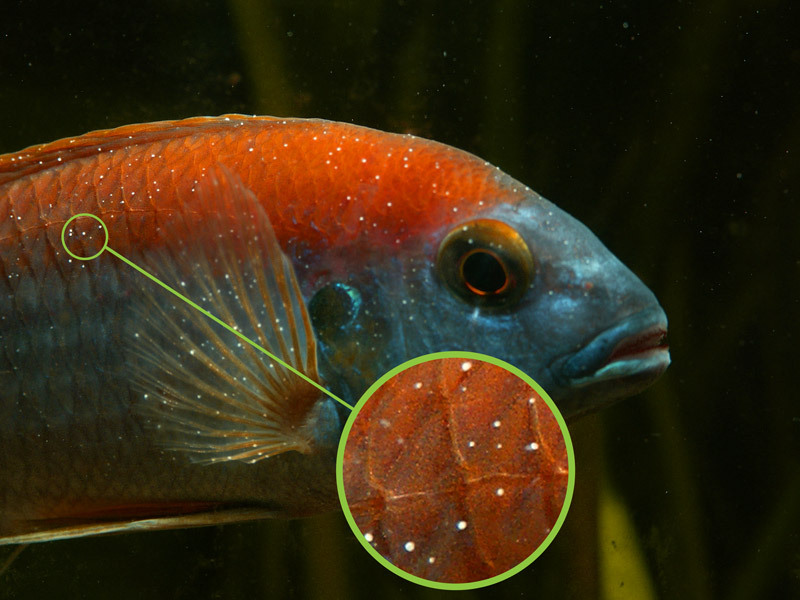 There is such a thing as aquarium test kits that will measure nitrate levels.